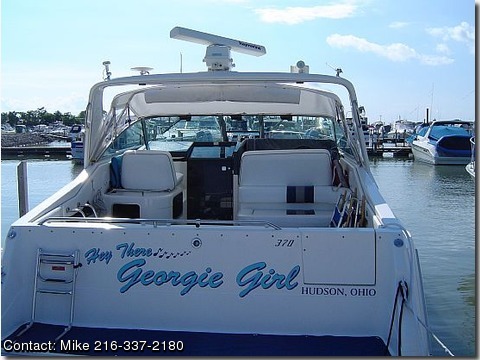 EVERY OPTION AVAILABLE INCLUDING GENERATOR, 2010 COLOR GPS MAP, FISHFINDER, RADAR, AUTO TRIM, AUTO PILOT, WINDLASS, CENTRAL VAC AND MUCH MORE. MOST ELECTONICS NEW IN 2004. NEW INTERIOR 2007 AND CANVAS IN 2008. NEW VINYL TEAK AND HOLLY FLOOR. SECOND OWNER FOR THE LAST 9 YEARS, JUST A GREAT 37 FT BOAT, STORED INSIDE. e-mail me at mredmon@windstream.net for a free video of the boat.